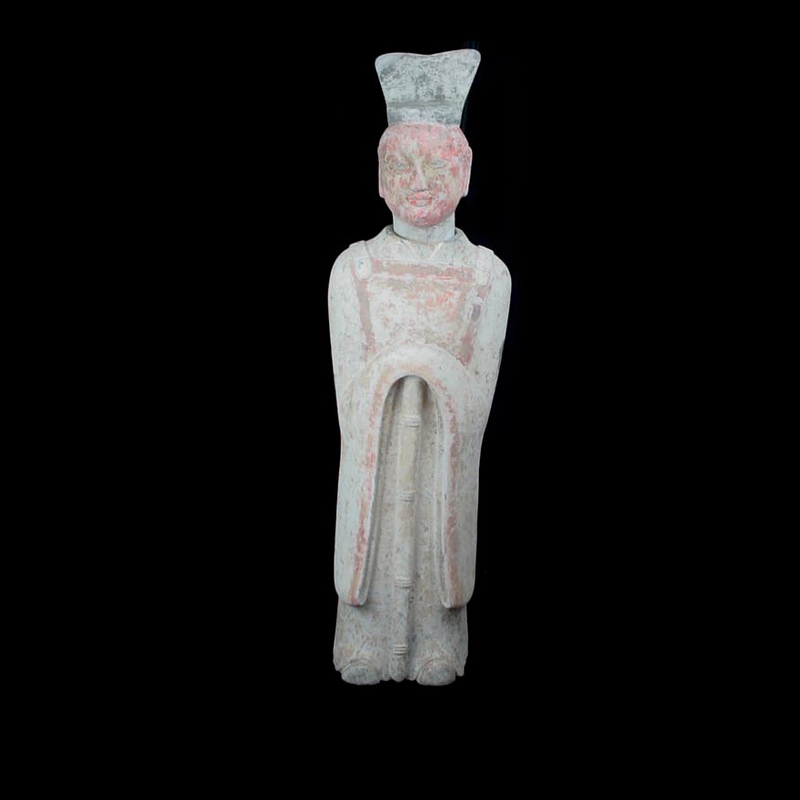 A Chinese Han Dynasty pottery guardian figure. The socketed head with a peaceful gaze beneath an angular headdress. 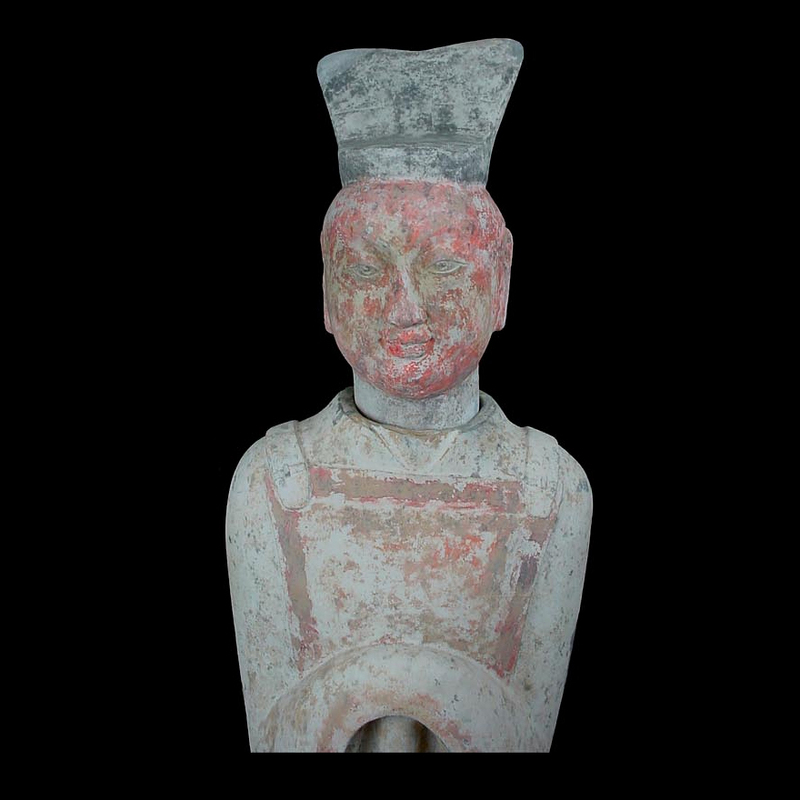 A Chinese Han Dynasty pottery guardian figure. The socketed head with a peaceful gaze beneath an angular headdress. The elongated body wearing a long robe with hands resting atop a staff. Fantastic worn pigment decoration. This piece is accompanied by a thermoluminescence test certificate from the University of Wollongong, NSW, Australia, stating its age to be approximately 2360 years BP. 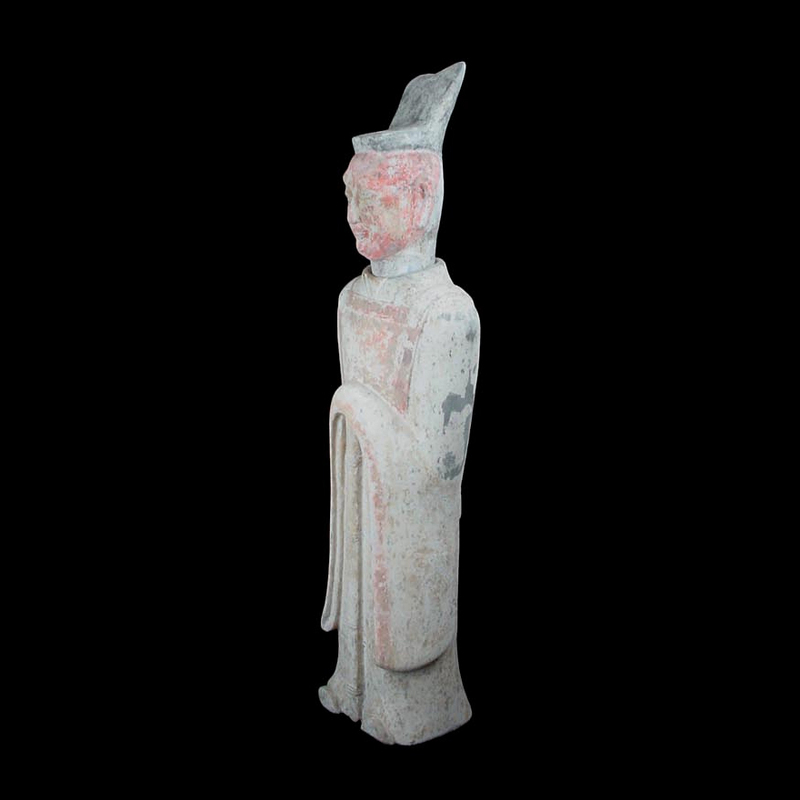 Han Dynasty, Circa 206 B.C. to 220 A.D., China.